Published March 14, 2013 at 627 × 628 in Books. A delightful Christmas book, with lots to read and make. The children are getting ready for Christmas, but bedtime arrives before they get to choose which very special angel to put on the top of the tree . . . So, while the children sleep, the angels work together to make this the best Christmas tree ever! 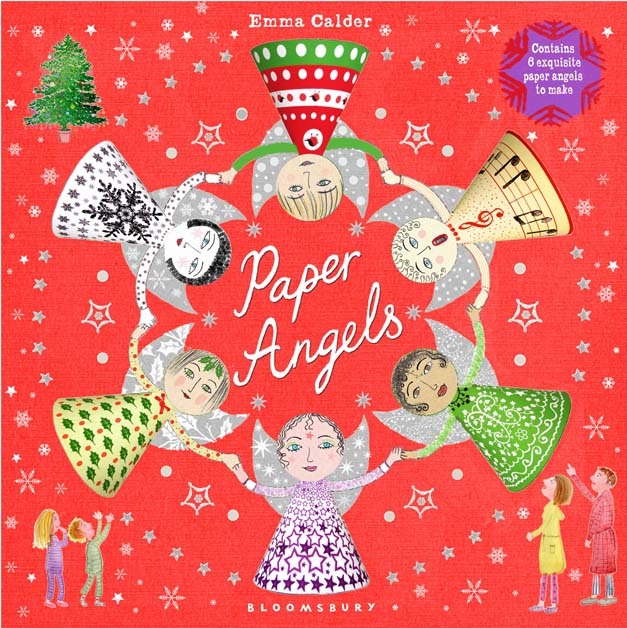 With angels to cut out and decorate, this is the perfect companion book for Christmas. If you want to colour and make your own beautiful Paper Angel please click the link below. I purchased the book Paper Angels and am trying to download more paper angels for my students. Thanks for asking. when I updated my web-site I forgot to include a link for the template. It is now included on the page.